Recently, we’ve been learning phrases like “mi manchi” (I miss you) and “mi dispiace” (I’m sorry). But what is the little “mi” at the beginning of these phrases? 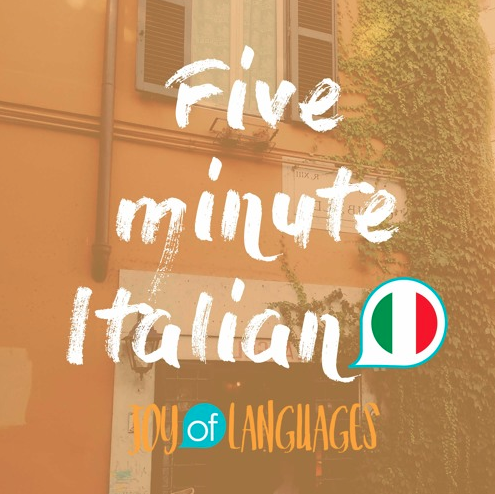 Learn about Italian pronouns and how to use them in Italian in episode 51 of 5 Minute Italian. Io sono inglese e tu sei italiano = I’m English and you’re Italian. Beh…io bevo il caffè e tu bevi il tè = Well I drink coffee and you drink tea. Ma non ci conformiamo sempre agli stereotipi = But we don’t always conform to stereotypes. Io arrivo sempre in anticipo, tu sei sempre in ritardo! = I always arrive early and you’re always late. K: Recently, we’ve been learning phrases like “mi manchi” (I miss you) and “mi dispiace” (I’m sorry). The little “mi” at the beginning of these phrases is an example of an Italian pronoun. 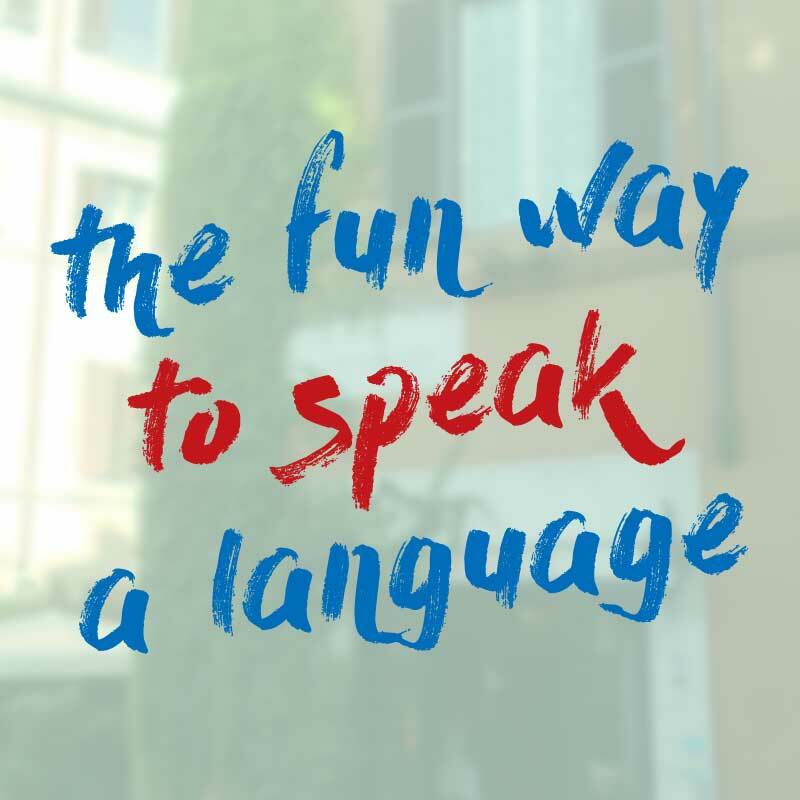 Today and in the next couple of lessons, you’ll learn what Italian pronouns are and how to use them in conversation. M: First, ascoltiamo la conversazione (let’s listen to the conversation). 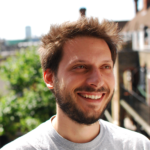 K: Matteo, io sono inglese e tu sei italiano. M: Beh…io bevo il caffè e tu bevi il tè. K: Tu cucini bene la pasta e io cucino bene i dolci. M: Ma non ci conformiamo sempre agli stereotipi. M: Io arrivo sempre in anticipo, tu sei sempre in ritardo! M: Matteo, io sono inglese. E tu sei italiano. K: The important words in this phrase for us today are: “io” (I) and “tu” (you), which are examples of Italian pronouns. What are pronouns? Pronouns are just a fancy name for those little grammatical words which refer to people or things, like “I”, “me” “you” and so on. In today’s lesson, we’re looking specifically at subject pronouns, which are words like I, you, he, she, we, and they. In English, they come before the verb and tell us who’s doing the action. The important thing to know about subject pronouns in Italian is that we don’t use them as often in English. K: Well I drink coffee and YOU drink tea. M: Tu cucini bene la pasta e io cucino bene i dolci. K: YOU cook pasta well and I cook desserts well. K: But we don’t always conform to stereotypes. K: I always arrive early and you’re always late. This is true I’m afraid – Matteo spends half his time waiting, trying to get me out the house, so we don’t conform to stereotypes in this respect! K: So we’ve seen io and tu, which mean I and you respectively. What about the others? M: Lui beve il caffè e lei beve il tè. K: Great. And how would you say “we eat pasta and they eat pizza” (remember it’s “the pasta” and “the pizza”). Just in case you need a little reminder on how to conjugate Italian verbs, we eat is mangiamo. They eat is mangiano. M: Noi mangiamo la pasta e loro mangiano la pizza.